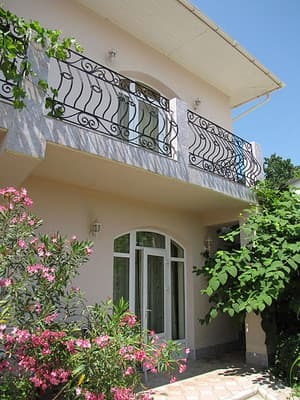 The private estate "Ai-George" is located in the eastern part of the city, near the Alchak-kaya mountain, a 7-minute walk from the Aquapark and the beach. 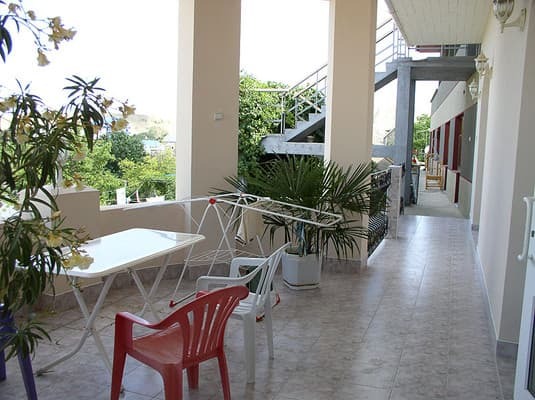 From the windows there is a picturesque view of Mount Ai-George (St. George). 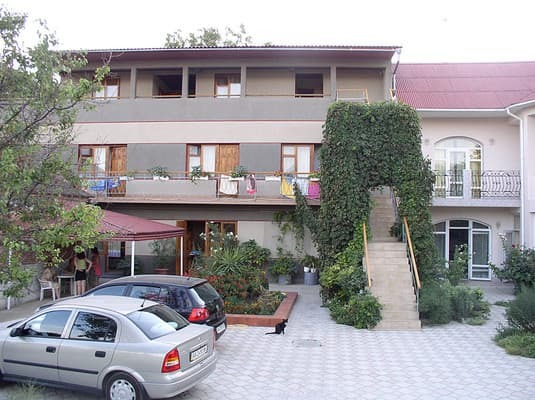 To the attention of guests are provided 10 comfortable rooms with everything necessary for comfortable living. The hotel has a kitchen for shared use. Also on site is a car park, a summer area with three gazebos, free Wi-Fi. For an additional fee, you can order a transfer, massage, azonotherapy, excursions and other services. 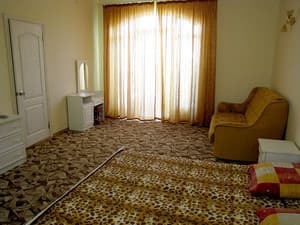 Description of the room: Two single beds, armchair, wardrobe, chest of drawers, dressing table, ottoman, TV, refrigerator, air conditioning, bathroom. 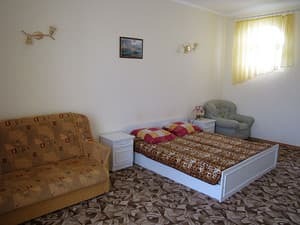 Description of the room: 2 double bed, sofa bed, armchair, wardrobe, chest of drawers, dressing table, ottoman, TV, refrigerator, air conditioner, bathroom. Children under 5 years - free. Extra bed is available for a fee. 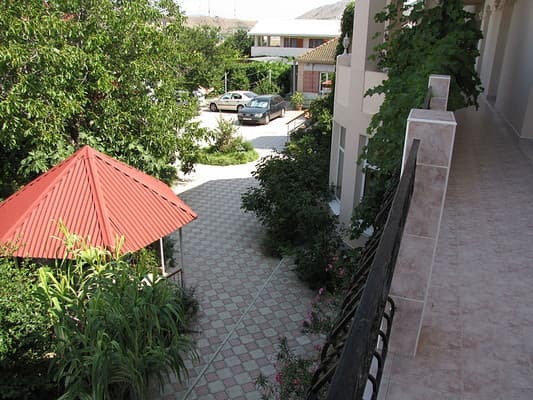 The private estate "Ai-George" is located in the eastern part of the city, near the Alchak-kaya mountain, a 7-minute walk from the Aquapark and the beach. Nearby is the ice rink. The nearest railway station is in Feodosia. From here by bus you will reach Sudak, via Koktebel. Travel time is about 45 minutes. If you are coming from Simferopol: near the railway station there are auto- and trolleybus stations. From there by bus (traveling time 2 h 30 min) or by shuttle bus for 1 hour 30 min - 2 hours.